It is day 3 of the Berghaus Dragons Back Race and despite a very long day for all the competitors yesterday (53.9km), today they have a whopping 68.3km to cover. Ouch! Needless to say the runners are exhausted and this is reflected in the current drop out rate of 30% (+/-.) This will change as today progresses! Early morning good weather had been replaced with clag, drizzle and colder temperatures. It’s a difficult combination to contend with; navigation will be considerably harder due to a lack of visibility and of course colder temperatures and wet increases the risk of hypothermia. It was going to be tough. Starting in a timing window of 0600 – 0900, the runners looked in good spirits as they climbed up to the first control at Gau Craig (683m.) Today they finished with a final climb of Pumlumon Fawr (752m) but before that, they have 5 peaks to ascend and descend and a total of 10 controls to meet. An epic day and one that confirms the Berghaus Dragons Back Race as one of the (if not THE) toughest events I have worked on. From the early action, as one would expect, male leader Jim Mann and female leader Jasmin Paris looked the strongest. However, it was long day with some challenging navigation and in these conditions, anything could happen. Lizzie Wraith and Beth Pascall both looked strong as they tried to close the gap on Paris and notably, Jez Bragg appeared to be getting stronger as the race progresses but this only lasted for so long as unfortunately Bragg’s stomach caused him issues during the day which really impacted on his pace. Mann continued his dominance producing another spectacular performance and Pascall rallied producing the fastest time for the ladies just a couple of minutes ahead of race leader, Paris. Konrad Rawlik and Jez Bragg once again ran consistent performances and placed 2nd and 3rd men but they were both beaten by Pascall and Paris. So, although Mann is providing everyone a masterclass performance at the Berghaus Dragons Back Race, the ladies trio of Paris, Pascall and Wraith are providing some serious inspiration for all. Day 4 is going to be another long day and as I write this, another 13 runners have retired from the race. Cut off is 2300 hours and I will update more tomorrow and provide an insight into the day 4 route. 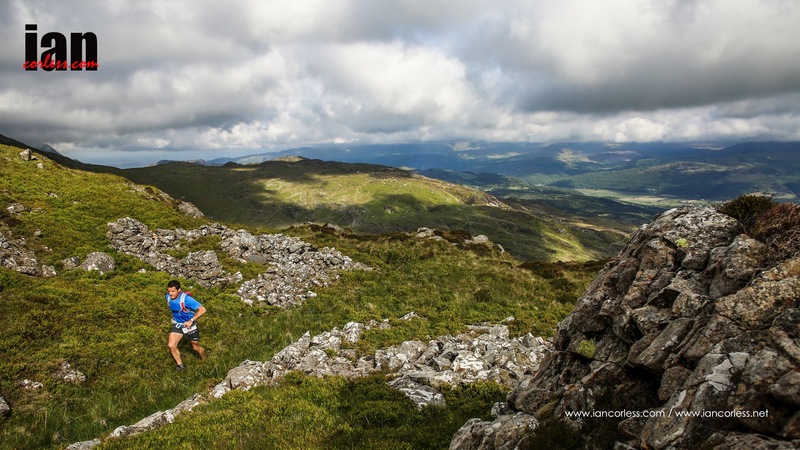 This entry was posted in Uncategorized and tagged 1000, 3000's, berghaus, beth pascall, day3, dragonsbackrace, Jasmin Paris, Jez Bragg, jim mann, lizzie wraith, Wales, welsh by talkultra. Bookmark the permalink.